I am a big fan of Death Note. If you are not familiar with this manga, then you might have not heard about Ryuk, a very bored god from the Shinigami realm. He is a tall and skinny character that could give your nightmares with his sharp teeth and bulgy yellow eyes. He is not exactly evil, he is just a very bored supernatural being that will do anything that serves his own interest and amusement… Yeah, that can be evil. I wanted to make a crocheted version of Ryuk for the longest time but it looked so challenging that I gave up on the idea until now. I started to work on the legs last December and just finished putting on the last accessories one month later. 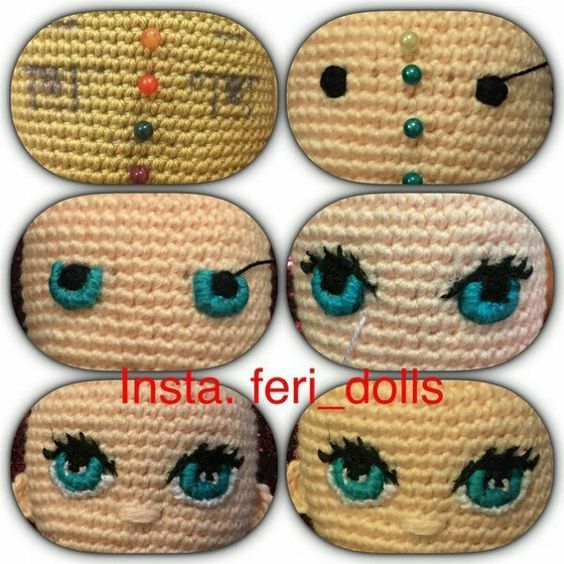 I love crocheting Fan Art. Replicating fictional characters from movies or video games allows me to challenge myself and learn new techniques in the process. Ryuk was not easy to make, it took a lot of patience but I am really glad I tried. I love my Shinigami. One of Ryuk charateristics is that he loves apples. He would do anything for apples, he’s a cheap date. Good thing I always have apples around the house! Ryuk carries “Death Note” notebook on his side with a skull on it. He has a lot of accessories that I hard to find so I had to think outside the box to replicate his belt, rings etc… His body has wire inside, it allowed me to bend him into his grotesque crooked shape. You can’t really tell on the pictures, but he is quite tall (about 20 inches). I was going to keep it for myself but decided to give it to my little nephew who is a fan of the Death Note anime series… I am such a good aunt! My journey with Ryuk was very inspiring. I am amazed at the creativity and imagination of the artists that create these characters, they are super talented and I can only hope to be that creative someday. You might or might have not heard of a Korean TV series called “Guardian: The Lonely and Great God” (Goblin). If you have, you are probably a K-drama fan just like me. I have been watching this series on and off for the past two weeks and it really inspired me to drop everything and start another fanart project: Kim-shin, and his bride. Kim Shin is an immortal goblin who is in search for his bride, the only one who can remove the sword piercing through his chest. Once the sword is removed, he may finally move to the afterlife and rest in peace. That’s the first character I decided to take on, an exciting challenge for my crochet cravings. I was so inspired, it took me three days to make this Goblin… I just couldn’t stop. The first day I worked on the head, body, and feet. The second day was spent crocheting the arms, then the hair. The third day was the most excruciating because I had no idea how to make a sword. I saved the best for life, the sword. My first attempt was to crochet the entire piece, but after several attempts, I realized that I didn’t have a hook small enough for that. The sword ended up being too big for his small body and for a while, I wondered if I would find a solution to my problem. I really tried to think outside the box and ended up using a wood stick and some cardboard that I wrapped with yarn. It took me an entire afternoon to do it but in the end, I was happy I had found a way. Now that I am done with the Goblin, I can work on his bride. She is going to take longer to make because she wears more layers of clothing and carries a backpack on her back. Her trademark is a red scarf she wears most of the time so I will have to make that as well. I can’t wait to have the bride join my Goblin on the shelf. They are going to look so cute together! Every doll I make is always a new challenge, and this one was no exception. I thought the hardest part would be to recreate her almond shaped eyes but truly the hardest part was her outfit, especially the pants. It took me a few trials and errors to achieve what I wanted but it was all worth it because I learned some new techniques in the process. I think she turned out really pretty, I really love her face. I had a lot of fun playing hairdresser while styling her hair and working on her accessories. I decided to crochet all of her jewelry instead of buying metal pieces from the craft store for a change. I wanted to see if it would look pretty just using yarn. I think it turned out well! I am very happy with my little fan art doll, she is now standing next to my computer. Who knows, maybe Aladdin and his magic lamp will join her someday! Petal is a character from a video game called Vainglory. I haven’t played it yet but one of my friends who is a big fan introduced me to some of the heroes involved in the gameplay. I fell in love with Petal, a really cute but deadly sniper who lives in the jungle. Since I am a big fan of video games and fan art, I couldn’t resist making a crocheted version of that character. There are different versions of that character that involve different costumes, but I picked the bee skin because I loved the hat and the big antennas. It was a little bit challenging because I didn’t have a lot of pictures to work with for that particular one. 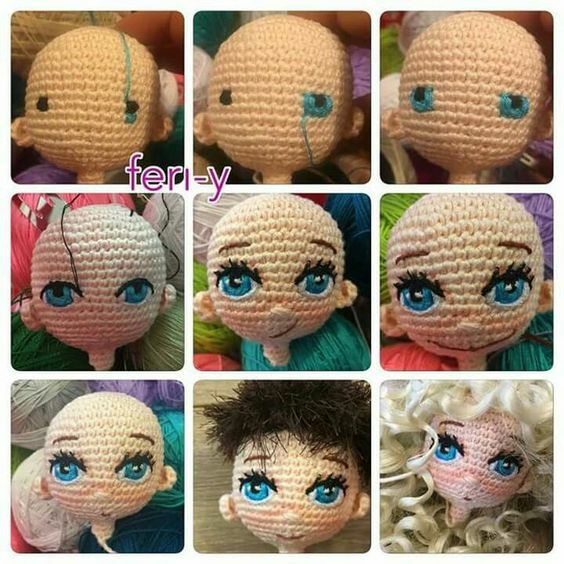 I used a 2.75mm hook and Caron Simply Soft to make this doll. She is very small, except for her ears and wings that are almost as long as her body. I really had a lot of fun with this project, I wasn’t sure if I would succeed but I am very happy with the result. I think the most challenging part was the three-dimensional snout and mouth. I didn’t know what technique to use because I had never crocheted anything like this before. It took some trial and error but I have learned a lot in the process. This fan art project was really inspiring, I love my little Petal. I am tempted to play the game but PVP is not my forte, it stresses me out and I usually get very frustrated.